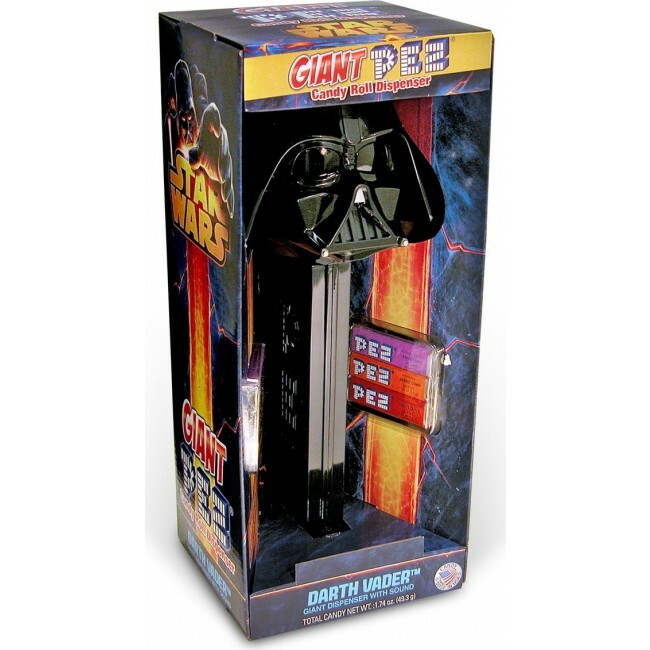 Giant PEZ dispenser features Darth Vader from classic Star Wars movie. Giant PEZ dispenser stand about 12" tall. Gift set includes 6 refills and comes in decorative window box packaging.